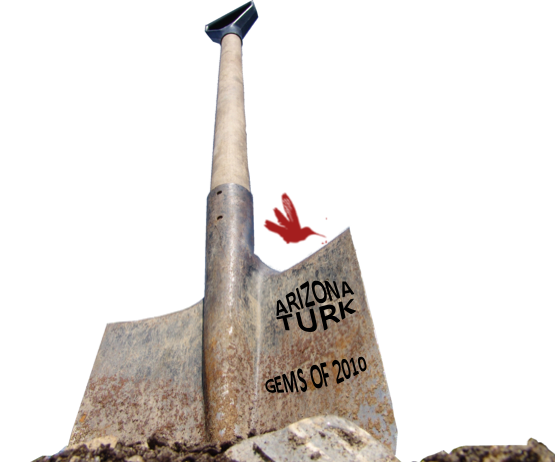 Now that the Hummingbirds are distributed to the fine bands of 2010, it’s time for us to celebrate our Excavator Picks for 2010. Who better than the best gem of them all Arizona Turk. Arizona Turk is the king of excavating, going to shows, buying records, digging the blogs and he finds some dandy gems. Here are his picks for the 2010 Top Tracks.